Our pharmacy is a vital part of our practice. It provides our clients and their pets with the latest technology and the right medications — all at a competitive price. Revenue from our pharmacy allows us to purchase the latest equipment and pay for our caring, dedicated staff of professionals. If your pet requires a refill on medication, please feel free to call us, or fill out our online request form. For your convenience, you may request to have your products mailed directly to your home. Orders over $50 will be shipped for free. We are pleased to announce that we have a new, fully stocked online pharmacy option for our clients. If you live a distance away, prefer online shopping, need a medication we do not carry in hospital, or would like to have your prescription food and medication auto-shipped to your home, then this is an excellent option for you. 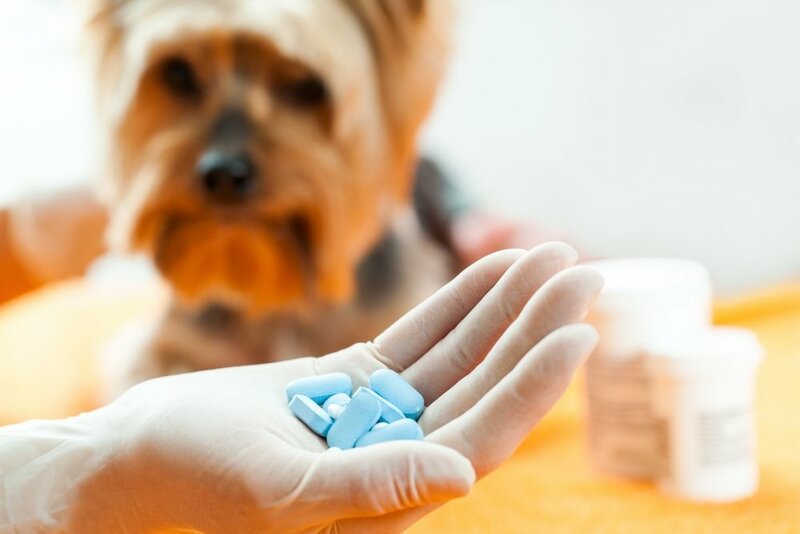 Some of the medications we prescribe for your pet might be available at human pharmacies. In these cases, we can give you a written script or call in a prescription to your local pharmacy at your request. Some medications need to be compounded or specially formulated for your pet, and some medications can be flavored for ease of administration. In these instances, we can offer our online pharmacy source or an outside specialty pharmacy. We see emergency cases that arise during our hours of operation. Should an emergency happen after our regular business hours, please call our main number (989-6531), and our answering service will connect you directly to the Eastern Maine Emergency Veterinary Clinic, which will be ready to assist you with your situation. For healthcare situations requiring comprehensive care that is estimated at $200 or more, or for treatments that necessitate admittance to the hospital, a deposit equal to 50% of the estimated cost is required to begin your pet's treatment, with the remainder due upon discharge. We charge 1.5% interest on all outstanding account balances older than 60 days. If you have an account 90 days past due, the balance might be relinquished to a collection agency. Brewer Veterinary Clinic charges $25 for returned checks. For clients with pet insurance, we will be happy to provide you with the documentation necessary to submit a claim to your insurance carrier. If you have any questions, please do not hesitate to ask. We are here to provide the best veterinary care possible for your pet.